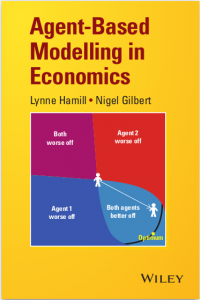 New methods of economic modelling have been sought as a result of the global economic downturn in 2008.This unique book highlights the benefits of an agent–based modelling (ABM) approach. It demonstrates how ABM can easily handle complexity: heterogeneous people, households and firms interacting dynamically. Unlike traditional methods, ABM does not require people or firms to optimise or economic systems to reach equilibrium. ABM offers a way to link micro foundations directly to the macro situation. – Introduces the concept of agent–based modelling and shows how it differs from existing approaches. – Provides a theoretical and methodological rationale for using ABM in economics, along with practical advice on how to design and create the models. – Each chapter starts with a short summary of the relevant economic theory and then shows how to apply ABM. – Explores both topics covered in basic economics textbooks and current important policy themes; unemployment, exchange rates, banking and environmental issues. – Describes the models in pseudocode, enabling the reader to develop programs in their chosen language. Agent–based Modelling in Economics provides students and researchers with the skills to design, implement, and analyze agent–based models. Third year undergraduate, master and doctoral students, faculty and professional economists will find this book an invaluable resource. You can read for free the almost-final chapters, download the models and find out where to buy the book. You can download for free individual draft chapters or the whole book in draft. To buy individual final chapters, go to Wiley’s Online Library. – Wiley Europe and other Wiley sites.